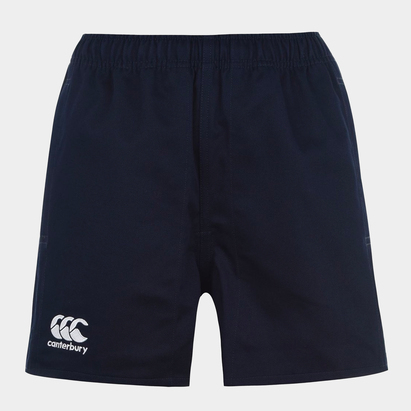 Made by Canterbury, from 100% cotton, their Professional Cotton Rugby Shorts have been designed to match the demands of life on the rugby field. From a practical perspective, the elasticated waist incorporates a drawstring cord to ensure optimum comfort and fit. The inclusion of two side pockets are ideal for storing any essential items once you step foot onto the rugby field. A plain white offering sees the Canterbury CCC branding stitched in black atop the lower right leg. 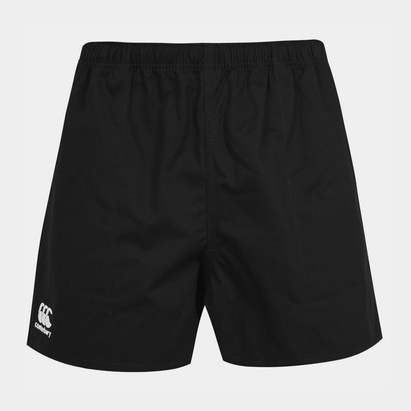 Whether sported on the training ground or saved to wear on match day, these Canterbury Professional Rugby Shorts should form an essential part of your rugby kit. Looking to place an order for your club/team?